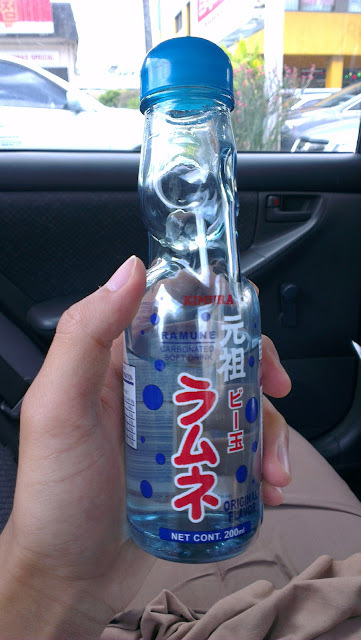 So I decided to try out Ramune (Japanese soft drink) the other day for the first time. It taste superb and nice and cold on a hot summer's day. I do recommend everyone to try it at least once. What makes Ramune special? The bottle is made out of glass and at the top there is a little glass marble floating there. The glass marble stops the drink from spilling out rapidly when you drink it!